Milwaukee is one of the most segregated metro areas in America, according to the latest census figures. 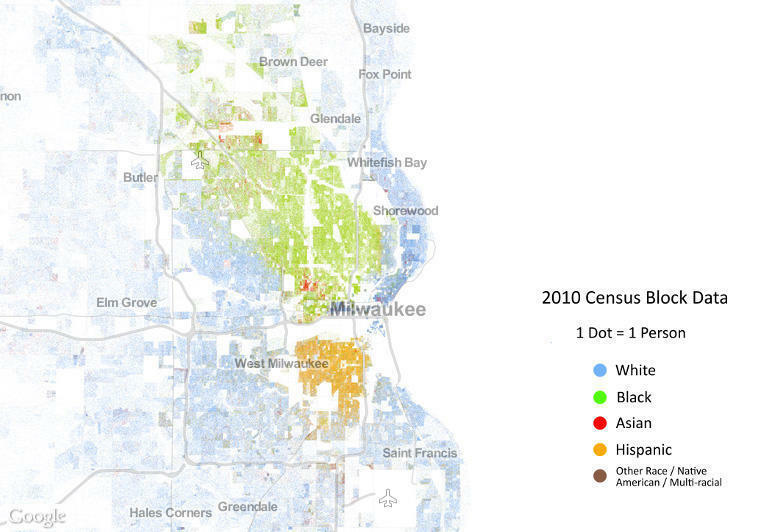 90 percent of African-American households in the region live in Milwaukee. The numbers also point to huge economic disparities smothering African-Americans who live in the central city. 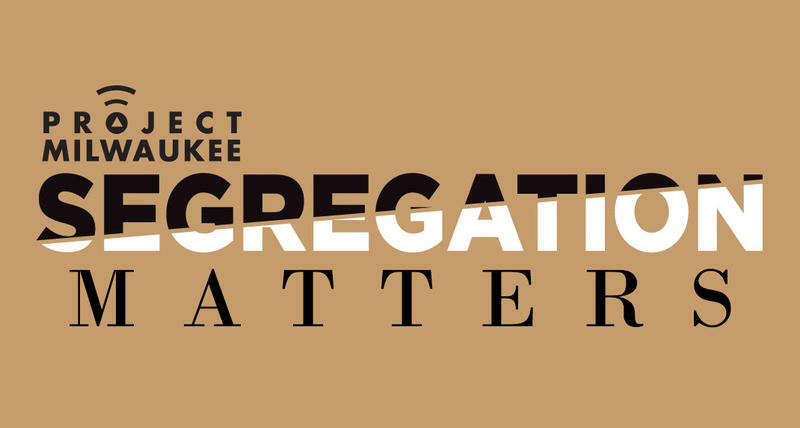 WUWM's Marti Mikkelson opens our series Project Milwaukee: Segregation Matters by examining how the dividing lines became so entrenched. Nate Holton has been working to make life better in Milwaukee’s central city. These days, he’s helping organize the county’s new Office on African American Affairs. Holton grew up in the Sherman Park neighborhood; its boundaries roughly extend from 30th to 60th Streets. He takes me on a drive through the area. We start at 57th and Townsend, where Holton spent his childhood and teenage years in the 1990s. Rows of modest, well-kept brick homes. “It was a pretty integrated neighborhood and that was one of the things we liked about it. Our neighbor to our north was an elderly white woman who had been there for a long time, our neighbor to our south was an African-American couple,” Holton says. As we head east on Burleigh, the people we see are nearly all African-American, and the properties appear to deteriorate. “The types of homes are similar, but they just don’t look as good. Whoever owns them hasn’t been able to keep them up like folks on 57th and Townsend have,” Holton says. The neighborhoods may seem to blend one into another, but there are manmade and natural dividing lines, according to Marc Levine. He heads UWM’s Center for Economic Development and has been studying segregation in Milwaukee. He shows me maps on his computer that he says outline racial separation in Milwaukee. “The river is sort of the eastern boundary, you’ve got highways that are built, the construction of I-43 had a profound impact on the African-American community when it was built, 41 on the west side,” Levine says. Levine says those boundaries have helped solidify segregation in the community. 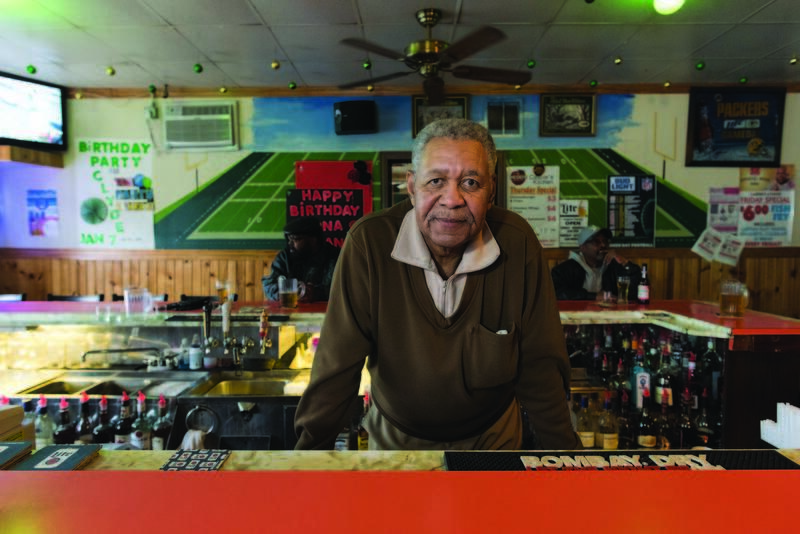 He traces the origins of the situation back to the 1950s and 60s, when many African-Americans migrated to Milwaukee from the South for factory jobs – which were plentiful. “Milwaukee was a relatively booming industrial economy with jobs that were accessible to modestly skilled workers, particularly males who could work in manufacturing and Milwaukee was one of the leading manufacturing cities in the country,” Levine says. But, Levine says in the 1980s, a recession hit and factories started closing. The downturn devastated the city’s north side where many manufacturers were located and African-American workers lived. “The 1980s were the brutal decade in Milwaukee. There’s just no question about it. All the data from my study on economic inequality and racial inequality in Milwaukee shows that that’s where the bottom really dropped out and that’s where the rate of black male non-employment increased, not just unemployment but falling out of the labor force and all sorts of consequences flowed from that,” he says. Consequences such as the drug trade, violence and mass incarceration. Community activist Nate Holton says that’s when his father moved the family. “We left that intersection because of crime. There was a murder in our alley and they marked up the chalk partially on our garage door and I think that was the final straw for my parents,” he says. Holton says his family was lucky because his father was a Milwaukee firefighter and had the money to move the family to a safer neighborhood. Deniece Fields stayed longer, watching many businesses come and go throughout the '80s and '90s. She particularly laments the loss of the Capitol Court mall. “It had every store that you needed from a grocery store called Kohl’s and then Kohl’s turned into a Save-a-Center. It had retail stores, it had a Target, the music store, all of the stores that we needed in the community were there, and then slowly but surely it started to die out,” she says. When Fields had the means, she moved to New Berlin, where she’s now a school principal. “I like the offerings out there, the types of homes and the level of peace especially as a single black woman going in and out of my home at all times of the day or night, I wanted to be somewhere safe. Not that there isn’t violence in New Berlin, that’s not what I’m saying but when you have a choice or an option to live in a place that has a lot more options, that’s what I choose. If I had children, I would rather raise them where I live now,” Fields says. Yet Fields still belongs to a church in Milwaukee’s central city, and she comes back every Sunday for services because of her friendships here. Lester Carter has never left. He’s standing behind the counter of the pharmacy he’s owned for 50 years: the Carter Drug Store on 24th and Burleigh. 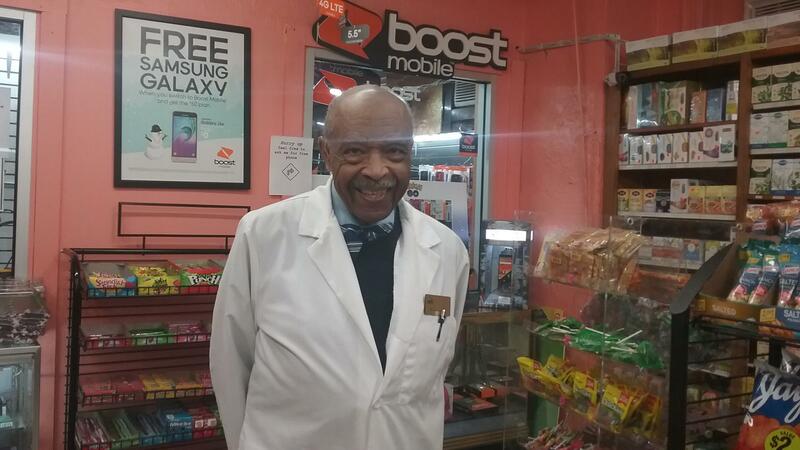 Lester Carter owns the Carter Drug Store on 24th and Burleigh. Carter says, when he first moved here, the neighborhood had a large German population, and his was one of a dozen stores. But he says they moved out and not much has moved in, to serve the many poor African-American people who remain. “Mostly grocery stores or empty buildings, or like on 8th and North that’s a vacant lot now and Dettman over here on Hopkins, that’s a church now and they’re all gone, all of them,” he says. Yet, Carter says he’s noticed recently, a few things changing for the better. “You have to give people credit, this church group, pastors, they’re sponsoring a lot of these new homes that they’re putting up, so there’s a definite effort to improve the area,” he says. While there are bright spots, UW-Milwaukee’s Marc Levine says a large number of African-Americans in the central city continues to live in poverty. “For example, the percentage of African-Americans living in concentrated poverty neighborhoods is now about 31 percent. That’s better than 46 percent as it was in 1990 but it still means about one-third of African-Americans live in concentrated poverty neighborhoods. That’s the second highest rate of any metro area in the country,” he says. 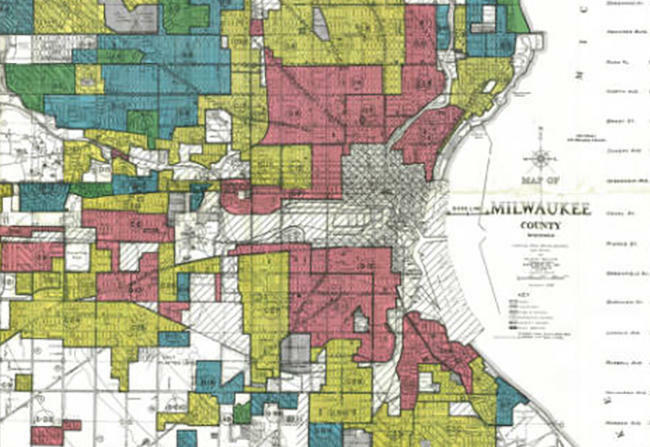 Have a question you'd like answered about segregation in Milwaukee? Submit your query below.